With the informal kickoff to summer, the young and young-at-heart are looking forward to sunny days on the beach and by the pool. We hope that Summer 2014 will be filled with laughter and a time for people throughout our Northern California community to build wonderful memories with friends and family. Safety is crucial to ensuring happy summer memories are happy, not tragic. As the summer begins, our San Francisco child injury law firm looks at one major element of summer safety – preventing accidental drownings. 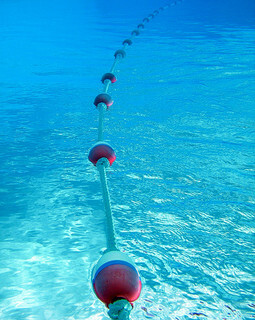 Drowning can occur in any season, but vigilance is especially important in the summer months. A news release authored by the Consumer Products Safety Commission (“CPSC”) reports that at least 202 children aged 1-14 years drowned between Memorial Day and Labor Day 2013. Consistent with the fact that drowning is the number one cause of accidental death for children between 1 and 4 years old, 143 of these were children under age 5. California saw the third highest number of summer drownings for children under age 15, with media reporting 23 occurrences, a number the CPSC suggests may be under-inclusive. It is important to note that unintentional drowning can occur in any season, in settings from a lake to a bucket to a bathtub, and impact victims of any age. The Centers for Disease Control report that a yearly average of 3,533 people died in non-boating accidental drownings for the 2005 to 2009 time frame. Put another way, a typical day saw ten unintentional drowning deaths. The CPSC’s Pool Safety Campaign is aimed at reducing pool drownings. Close supervision is a key part of the CPSC’s safety recommendations. In our multi-tasking world, it is critical that there be someone whose sole duty in supervision and who is not texting, reading, listening to headphones, or otherwise distracted. Another important safety measure is making sure pools and spas meet all federal and state safety standards. While not a substitute for supervision, the CPSC also suggests teaching all children to swim. Of note, African-American children between 5 and 19 years of age are six times more likely than their white or Hispanic peers to drown in pool settings. Data shows that 70% of African-American children cannot swim compared to 60% of Hispanic children who are non-swimmers and 40% of white children. When a drowning occurs because of an individual or company’s negligence, civil liability is often appropriate. Most such cases are based on premises liability principles which provide that property owners are responsible for protecting others, especially children, from known dangers. Other relevant legal concepts include negligence (for example, a club hiring uncertified lifeguards) and product liability (for example, a spa with a defective drain that can trap a child underwater). If an individual or organization contributed to a child or loved one drowning, we can help. With drowning injury law offices in San Francisco and throughout Northern California, we are here to help injured people and grieving families recover crucial money damages. Civil cases can also help emphasize safety lessons and prevent future tragedies. We would be remiss if we concluded this entry without a message of remembrance for those who gave their lives in service to our country. Words are insufficient to express our thanks and our gratitude; our freedoms, in the summer and all year-long, exist because of your bravery.